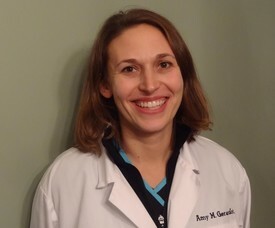 Dr. Amy M. Gerardot is originally from Anderson, Indiana and graduated valedictorian from Highland High School. She received bachelor degrees in both Chemistry and Psychology with honors from Indiana University, Bloomington. Dr. Gerardot earned her D.D.S. from Indiana University School of Dentistry in 2001. Through various continuing education classes she keeps current on the latest advances in dentistry. 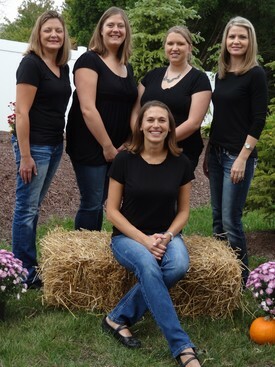 Dr. Gerardot’s mission is to provide a pleasant experience at the dental office and to build a practice valuing prevention, early detection and treatment of dental disease. She will listen to you, answer any questions and then discuss your diagnosis and treatment options. Our friendly and outgoing team makes a visit to our office a pleasant experience. We use education, the latest technologies, procedures and practices to allow us to provide the best results for our family of patients. Feedback from our patients about their experience in our office is always welcomed.